MONROVIA – A wheel chair-mobile former official of the Malawian Government has coached Liberian disabled people on how to be successful on their mission of getting national government and private persons provide urgently needed facilities that make life comfortable. “Don’t flatter politicians with words such as ‘you are interesting’ or ‘you are wonderful’,” Madam Richel Kachaje, former Minister of Disability and Elderly Affairs of Malawi, Liberian disabled persons, non-disabled people, at a one-day Workshop held at the Corina Hotel, in Monrovia, on March 27, 2019. The Malawian was the International Guest for the workshop and made these comments during the Panel Discussion segment of the event. She spoke on the topic, “Best Practices in the Application of the CRPD (Convention for the Rights of Persons with Disabilities) at home and abroad”, the first of four topics for four panel discussions of the workshop. The Workshop was organized by the National Union of Organizations of the Disabled (NUOD), an independent umbrella advocacy body of independent disabled persons and smaller groups of people with visual impairment (blind) and other disabilities. A part of the Disability And Start Up (DASU) Civil Society at Protagonist, the workshop was funded by the Italian Agency for Development. Madam Kachaje, who became physically disabled (both legs paralyzed) at age 3, also told Liberia’s disabled persons to hold national policy makers on account for their promises made at disabilities events. “In Malawi, we, disabled people, invite the President or top political leaders to our program to engage them on issues affecting our well-being,” the former Malawian official showed Liberian disabled people one of the methods through which they can achieve their set goals. She cautioned Liberia’s disabled community against in-house division, saying antagonists ride such gap to the disadvantage of the ‘community’. “You should always unite against non-disabled persons who want to divide you on your collective advocacy on equal rights,” she said. Later, Madam Kachaje came to her disability-caused personal ordeals in Liberia. “Entering with my wheel chair into the hotel I lodged in was a problem, due to absence of accessibility point for persons in wheel chair like me. Entering or leaving my bathroom was also a problem. I experienced similar problem when entering into this venue of the workshop. In here, the access point for clients in wheel chair is narrow,” the Malawian complained two Liberian public buildings and business centers. The former top government officials looked terrified and continuously complained when her wheel chair, being pushed by her husband, was rolling on the narrow wooden staircase, which was new—a proof of emergency construction. The same thing happened when she was leaving the hall after the workshop. NUOD’s partner-organizations participated in the panel discussion. The National Commission on Disabilities (NCD), the Government’s arm, represented by Ricardia B. Dennis, Executive Director, blamed the government for ‘financial abandonment’ of agencies it has created, which causes the agency’s failure to meet its constitutional obligations to particular persons the agency was established to cater to. The Ministry of Justice, in the second panel discussion, advised NUOD to resolve its long-standing internal conflicts all members to contribute to the organization’s goals. The United Nations Office of the High Commission on Human Rights (OHCHR), represented by a female official, challenge the leadership of the disabled community to step up momentum of grabbing national government’s attention to translate its verbally announced policy into actions. The Christian Association of the Blind (CAB) challenged NUOD to conduct a mass mobilization of persons with disabilities. With OHCHR and CAB in the 3rd panel discussion, the Inclusive Development Initiative (IDI) said national government should provide reasonable housing for disabled people. The Liberia Media Center (LMC), represented by its physically challenged Executive Director, Samuel Kpanbayeazee Duworko, II, in the fourth, and last, two-person panel discussion, suggested employment of sign language instructor in all schools. Prior to the panel discussion, other NUOD’s partners, the Government of Liberia and independent groups, made remarks. The workshop funder, represented by Silvia Poggioli, advised NUOD to “set a robust monitoring and evaluation mechanism to address issues of persons with disabilities,” she said, adding that stakeholders of the disabled community will soon start visiting offices of government ministries and agencies to confirm if they had begun implementing commitments made at disability events. 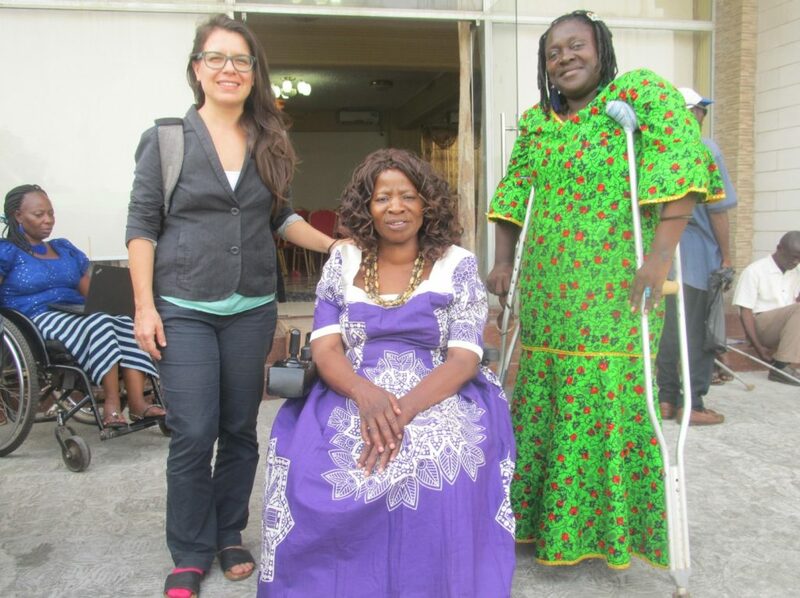 OHCHR pledged support to Liberia’s disabled community at the local and national levels. 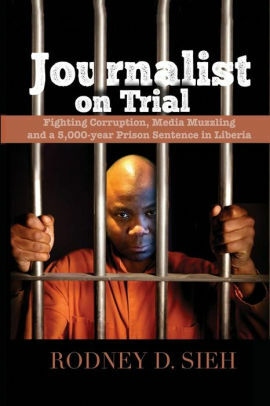 The Ministry of Information, Cultural Affairs and Tourism (MICAT) pledged its weekly media platform (“MICAT’s Regular Press Briefing”), to NUOD to inform Liberia about its ongoing and future programs. The Ministry of Justice pledged continuation of support to NUOD’s human rights projects and programs. The Ministry of Youth & Sports (MYS) pledged to include NUOD’s members to its vocational education program at the Monrovia Vocational Training Institute (MVTI) and other vocational educational institutes on MYS. The Ministry of Education (MoE) promised to include more disabled persons, especially from NUOD, into its Inclusive Education program. The Workshop was a prelude to NUOD’s general elections to be held on March 29, 2019. The Union held a Congress, a day to the elections date, where a four-person Independent Disability Election Commission—composed of Ministry of Education, Press Union of Liberia, Liberia Labour Congress, and a private organization development consultant—conducted voter education. Candidates for NUOD’s presidency and 1st and Second Vice president positions sold their respective platforms to the electorates.